Changed owners and not worth the stop. what a surprise! ... walked past this place just a few weeks ago. tonight? closed. no sign. no information. no lights. no food. very disappointed. This The buffet is not tidy, the food is not refreshed to avoid over heating and drying out. We are locals, so we have tried going in 'season' and out of 'season'. Will not go back. 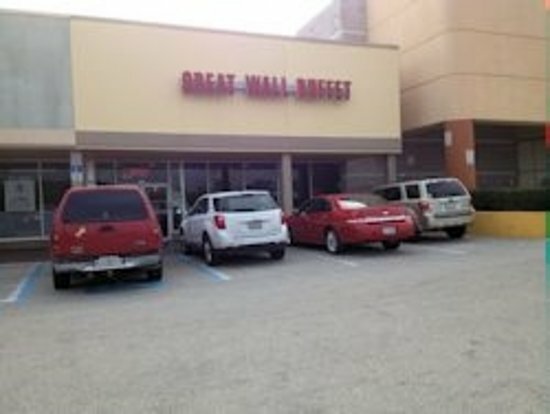 Get quick answers from Great Wall Buffet staff and past visitors. Do they still offer the all you can eat snow crab legs? How much is the buffet for adults and how much for children? We always go for lunch, which is less expensive than dinner. Since it's a buffet, you can eat as much as you want either time. Under new ownership they now charge for a pot of tea so we just get ice water. Call the restaurant and check their current pricing. I don't know where lpardieck or anyone else can eat as much as they want for what the Great Wall Buffet charges.